Today’s customers want something more from their suppliers. As well as getting good value for money, customers want to know that their operator is a good company - that as well as offering them something, it also offers something to society at large. They want their service suppliers to be socially responsible. And it’s not just hearsay – a report by The Conference Board looked at the relationship between brand strength and sustainability . 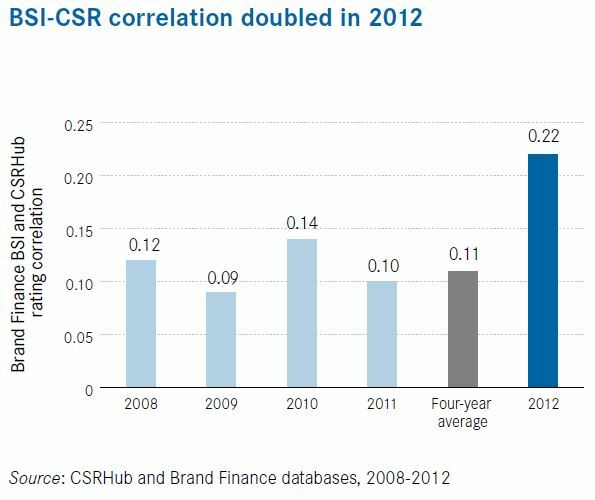 The statistics show that the stronger the brand (as measured by Brand Strength Index), the higher is its sustainability rating (as measured by CSRHub). But how can a mobile network operator (MNO) be socially responsible? The obvious ways are to treat customers, staff and suppliers fairly, to reduce waste and protect the environment. In fact, these factors are some of the most important. According to the Conference Board report, there is a relatively strong correlation between brand strength and a measure of sustainability, with product sustainability, leadership ethics and a company’s environmental policy and reporting being strongly tied to brand strength. Also important is how well a company treats its employees. Yet those are a given for any modern corporation. We expect companies, particularly household brands, to behave in this ethical way. MNOs have a further opportunity over companies in other sectors. They have an opportunity to make a difference to something the public really cares about and which they cannot do without – public safety services. When disaster strikes, like a flood or earthquake or even when more regular events occur such as fires or car accidents, people rely on public safety services. Emergency responders in turn rely on excellent, mission critical communications to help them do their jobs. The industry is starting to adopt LTE as the technology of choice instead of existing narrowband solutions. LTE is the key to offering broadband capabilities for critical communications, capabilities such as sharing real time video and data on the vital signs of patients en route to hospital and using geomapping. It can dramatically enhance situational awareness and operational efficiency, transforming the level of information that can be gathered and exchanged. Governments are looking to partner with MNOs to provide these services. An example is EE in the UK, which is partnering with the government to build the Emergency Services Network (ESN). The new communication system is set to be used by the emergency services – police, ambulance services and fire brigades - and other public safety users in the UK, serving 300,000 end users. EE is set to invest in building more than 500 new 4G sites and deploy a highly resilient new core system to meet the needs of the critical communications network. Work to enhance and expand the EE network will mean that its existing consumer, business and public sector customers will also benefit from expanded coverage. For EE, it’s double treasure – it gets the kudos of being involved in helping to save lives, while also gaining a way to further expand its network’s capabilities to help it deliver even better services. Working with Nokia, you could do the same – enter the public service market, improve your business, build your brand value and help your customers to live a better and safer life. Meet Tibor, a creative and real customer centric marketer – he is running global marketing for Public Safety and mission critical services. When Tibor is not sitting in front of his laptop you can find him in the gym or in a football stadium as he is addicted to sports. He has been collecting basketball trading cards and sneakers since his childhood and loves to cook – especially for his one-year old son.